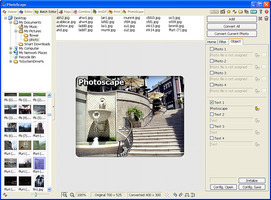 PhotoScape is a graphics editing program, developed by MOOII Tech, Korea The basic concept of PhotoScape is 'easy and fun', allowing users to easily edit photographs taken from their digital cameras or even mobile phones. 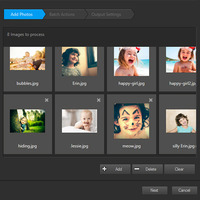 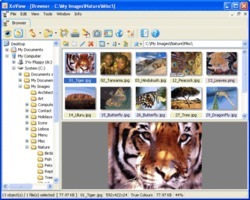 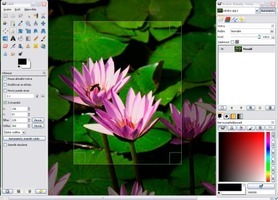 PhotoScape provides a simple user interface to perform common photo enhancements including color adjustment, cutting, resizing, printing and GIF animation. 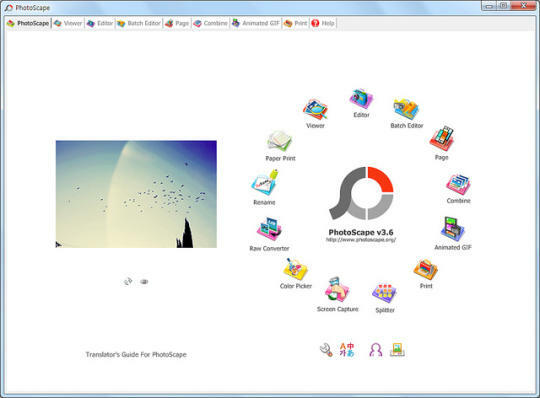 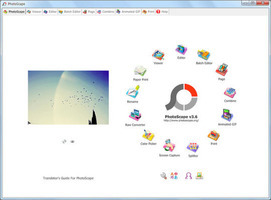 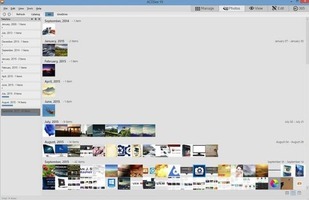 Photoscape operates on Microsoft Windows systems and Mac It is not available on Linux systems. 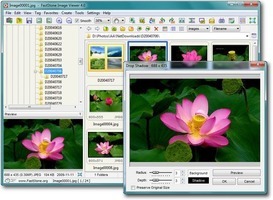 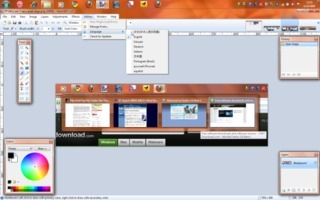 The default languages are English and Korean, with additional language packages available for download.